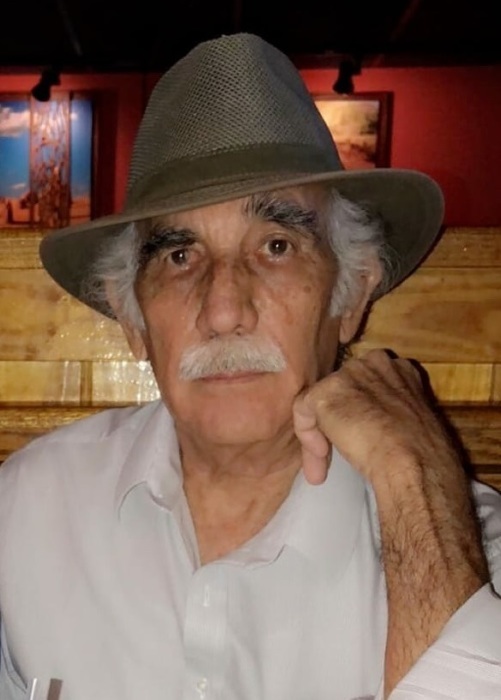 Pete Sanchez, age 73, passed away Tuesday, January 22, 2019. Pete is survived by his children, Nash and Nathan (Rena), Monica Gutierrez (Tony); grandchildren, Forrest, Chylean, Nate Jr, Adrian; siblings, Adelaida Sanchez, Lucky (Lynn), Ivan, Rita Andrews, Tony (Nancy), Orlando, Bernice (Gene), Bob (Corinne). He was preceded in death by his parents, Pedro and Cecilia Montoya Sanchez; brothers, Clem and David. Pete was a 1965 graduate of Rio Grande High School and received a MA degree from UNM. Pete served in the United States Army serving during the Vietnam era. A visitation will be Wednesday, January 30, 2019 from 8:30 a.m. until 9:00 a.m. at Our Lady of the Most Holy Rosary Catholic Church, 5415 Fortuna Rd. NW, Mass of Christian Burial will be celebrated at 9:00 a.m. A Committal Service will take place following services at 3:00 p.m. at Santa Fe National Cemetery.